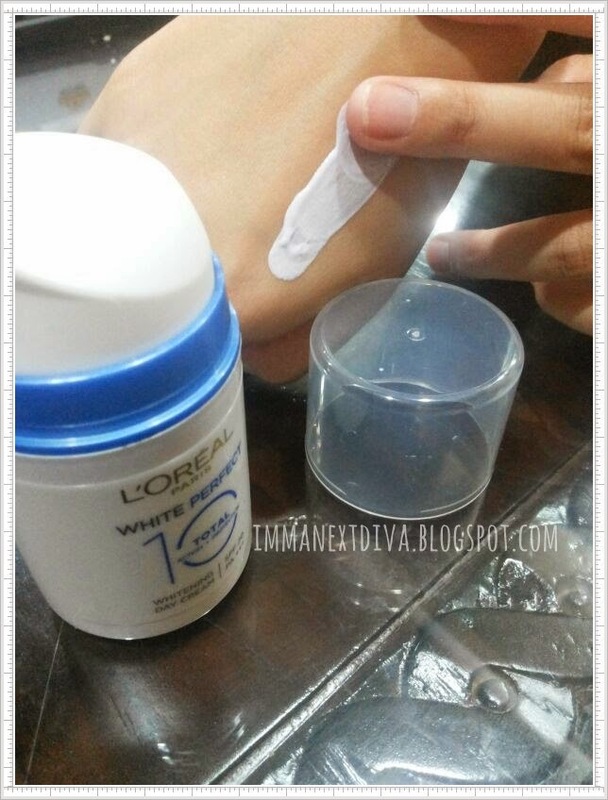 Today, I'm reviewing the new L'Oreal White Perfect Total 10. I was so lucky to be one of the girls to try out this product earlier. Ever since I was a teenager, I always looking for a product that can help moisturise my face, has a good amount of SPF, and gives my skin an instant brightening effect. I am so happy that my wish came true. Thanks to L'Oreal. The L'Oreal White Perfect Total 10 All-In-One Whitening Day Cream is made to give your skin and intense whitening effect and well as full protection with 10 benefits for fairer and shine-free skin. 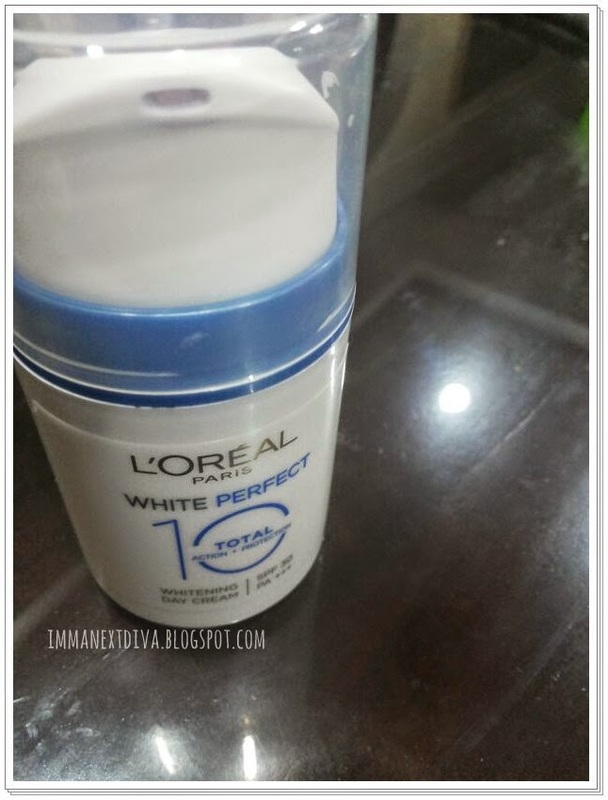 L'Oreal White Perfect Total 10 All-In-One Whitening Day Cream is fairly lightweight cream. To me this consistency is quite creamy because it takes a couple of minute to dry before I can pile it up with my makeup. This baby also has purply lilac colour which I believe is a correcting properties that help even out skin tone. I have been really enjoying this product so much. L'Oreal White Perfect Total 10 All-In-One Whitening Day Cream does great job in almost everything, moisturising, instant glow to my skin, full protection from dangerous sun ray as well as prep-ing a nice canvas for my makeup. Picture above is my bare face after shower. Surprise surprise!! 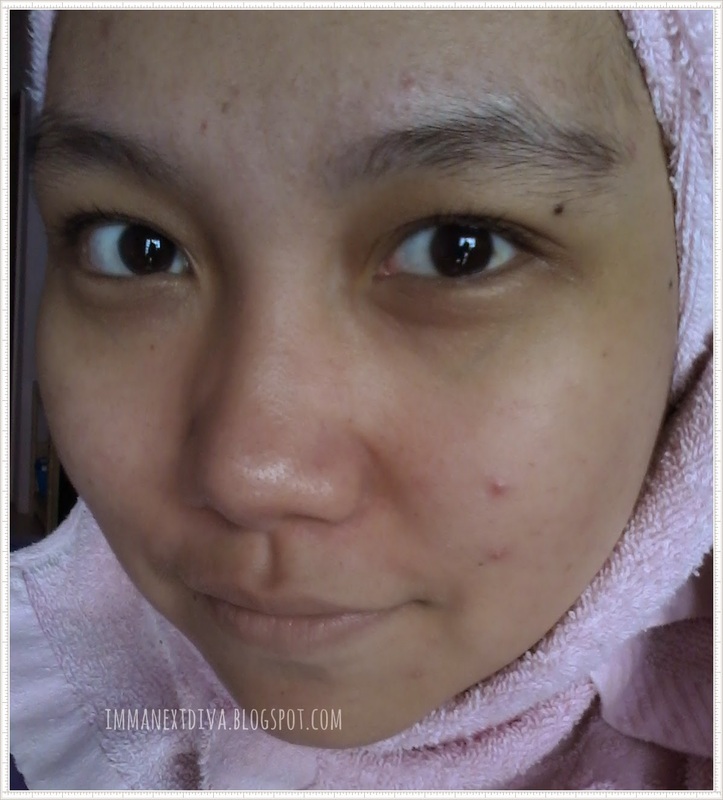 Pimples and blemishes. This is real life peeps. My face looks so flat after shower. I know. 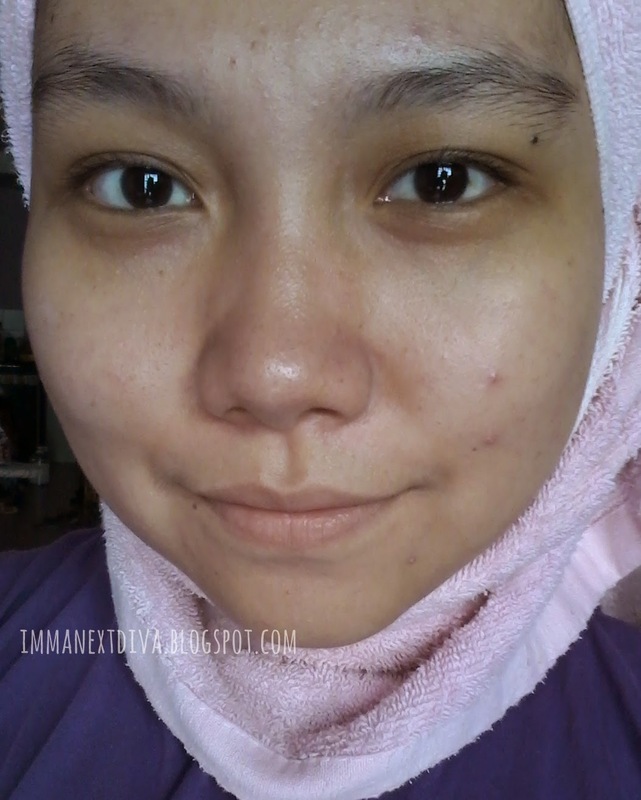 I applied L'Oreal White Perfect Total 10 All-In-One Whitening Day Cream to my entire face after I applied my L'Oreal Revitalift 3X Laser eye cream. My face feels so moisturise, brighter, protected and radiant. Availability: All pharmacies, hypermarkets and beauty departments nationwide. I have a good news for my readers and friends! 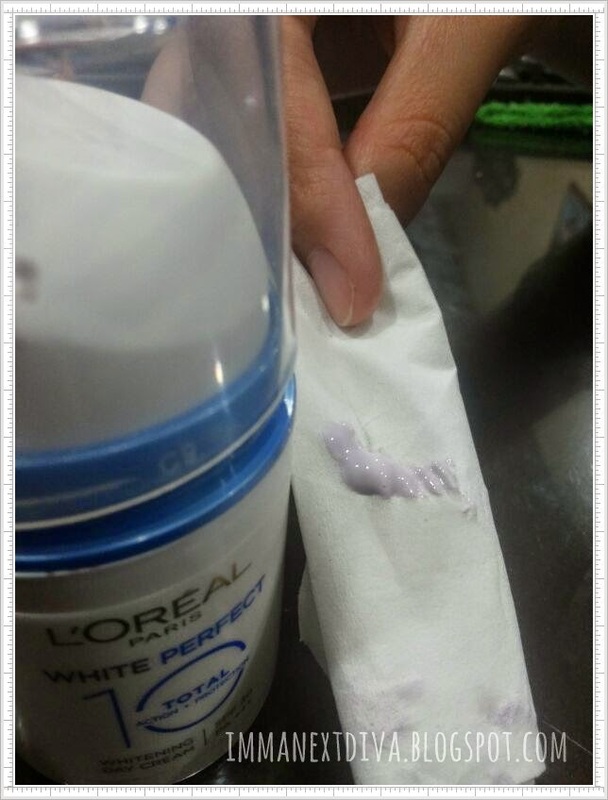 You guys can get free sample of Total 10 from new White Perfect Total 10 website! You can also get more information and watch Diana Danielle’s videos there.